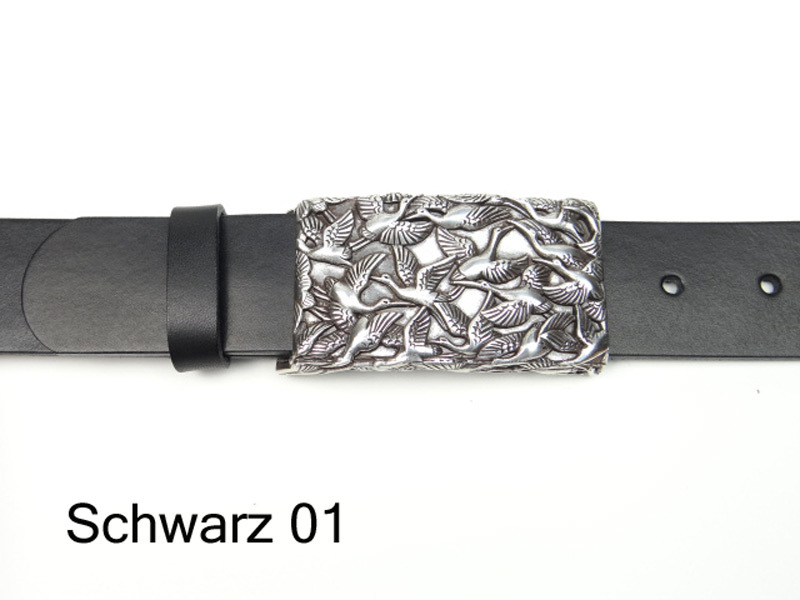 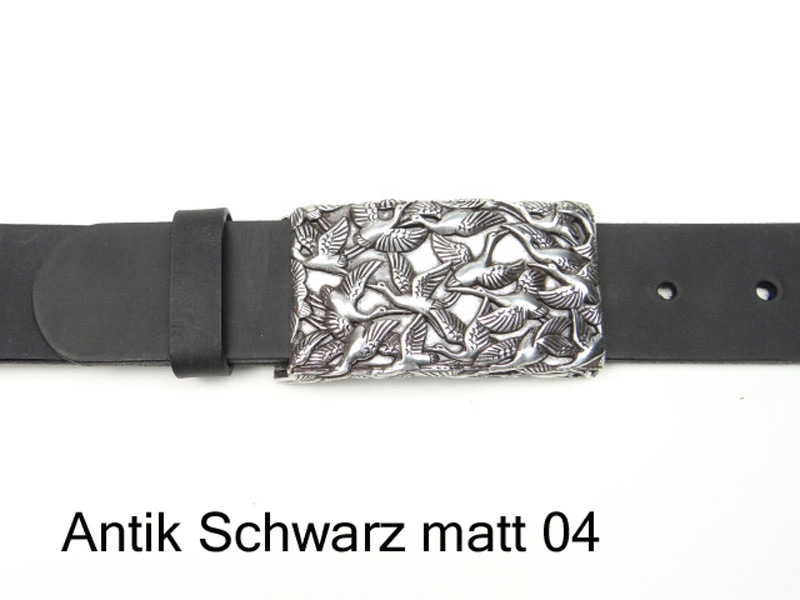 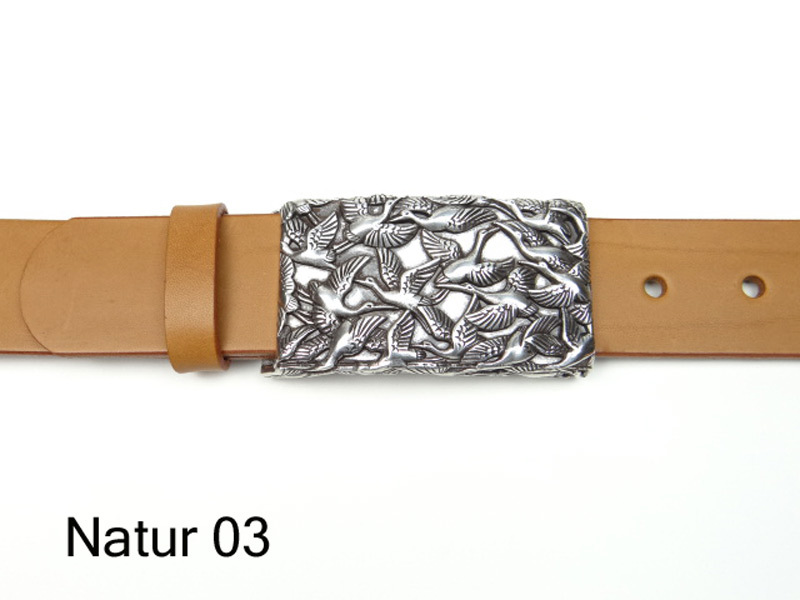 4 cm wide leather belt with a silver-plated buckle featuring a flock of birds. 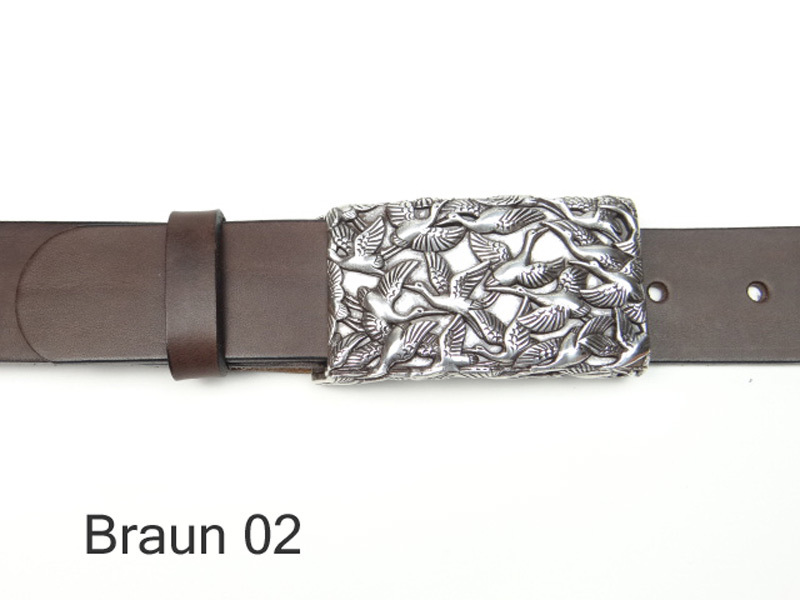 Our belt straps are completely naturally tanned, through-dyed and handmade. 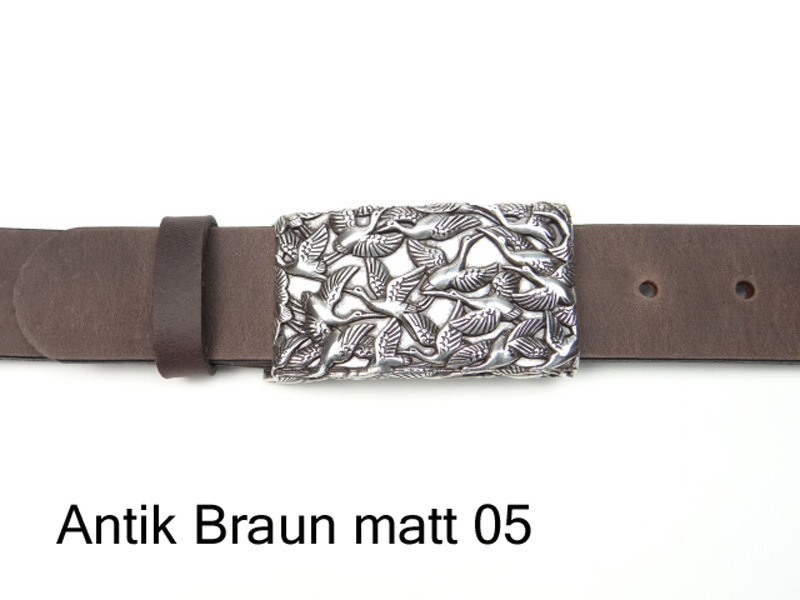 We offer this belt in 5 strap colours. 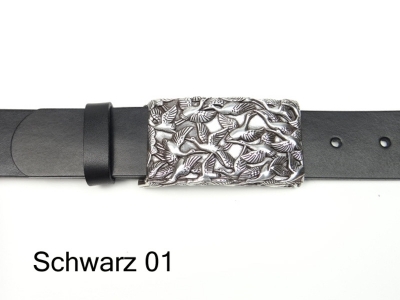 The buckle is nickel-free.